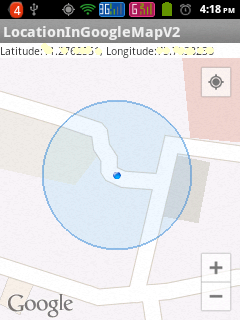 Since the Google Map is displayed using SupportMapFragment, this application can run in Android API Level 8 or above. In order to use MapFragment for Google Maps, we need Android device with API level 12 or above. 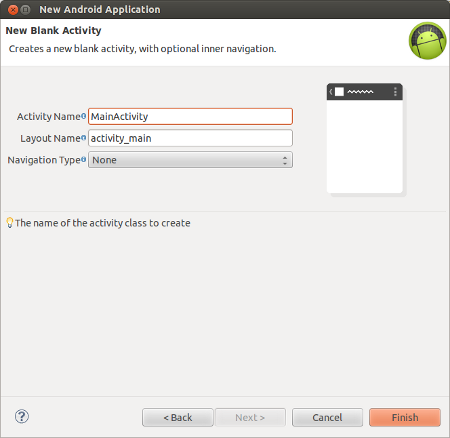 This application is developed in Eclipse 4.2.1 with ADT plugin ( 21.0.0 ) and Android SDK ( 21.0.0 ). 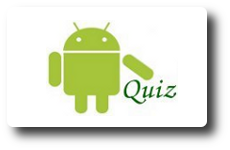 This application is tested in a real Android Phone with Android ( 2.3.6 ). Hi George, Sorry but again in trouble. Getting nullpointerException on line googleMap.setMyLocationEnabled(true); any ideas what might be the problem. I am not able to reproduce any NullPointerException as you mentioned. May be you missed some steps at somewhere. hi, I used to get the same problem. i don’t want to get location some error are occur setContentview and java.lang.IllegalStateException. The meta-data tag in my app androidmanifest.xml does not have the right value..
is ti also working for indoor localization? Hi and thanks for the tutorial. How can I add a possibility for the user to activate the GPS localization ? Have you figured out how to provide option to activate GPS from application and then returning back to the application with the current location on maps. Are you getting any hint from logcat messages? I too am getting only a white/grey screen with no map. but i do get my longitude and langitude. Do u have any idea what is causing this problem? Please ensure that, the correct API key is entered in the AndroidManifest.xml. 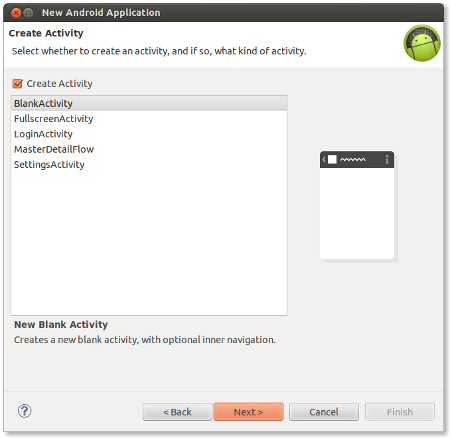 Google Maps Android API V2 applications will not be executed in emulators since it require Google Play Services library. I too i’m getting on the white screen with lat and long. thanks, it’s very helpful. Finally found the solution to show current location!!!! Thanks man, worked like a charm! I am working on google maps in android app . I want reverse geocoding but it doesnt works and give warning ” Service not available” . please help me……………..
Really Nice Explanation. I tried a lot and search many sites. But find solution here only. Thanks for the post. Hi, George! Thanks for this great tutorial, really helped me. I’ve got problem with GooglePlayServicesUtil. Its says “cannot be resolved”. How to fix it?? 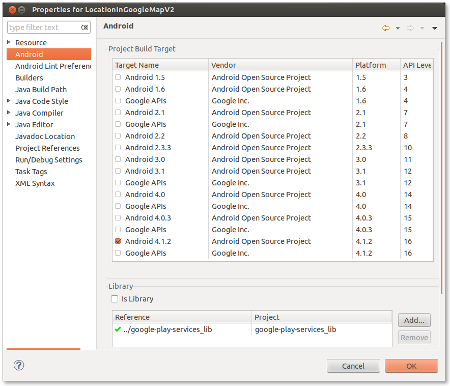 Ensure that, you downloaded and configured Google Play Services library as mentioned in the Step 1. 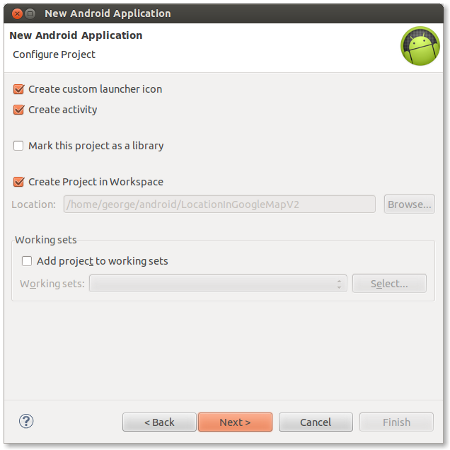 Once Google Play Services library is configured, then link that library to this project as shown in the Step 7. In this application the latitude and longitude are obtained using LocationManager api. If you are getting a white screen instead of map, probably you may not have entered the correct Android API Key in AndroidManifest.xml file. I put the appropriate Api key also bt i think is there any other apk we need to install before run this application…?? logcat is not showing any error..
i got the zoom in and zoom out button bt don’t get any map.. 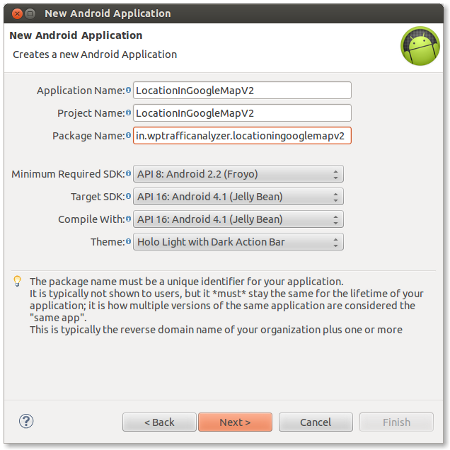 Please ensure that, Google Maps Android API v2 service is enabled in Google APIs Console. We are making a running app for school, and i have tried several different ways of showing the current users MyLocation, your solution works great. But when you are moving, the camera does not update your current new location, so it is in the middle of the screen the whole time. Why is that, i cant find a solution for google Maps v2 which will move to the rigt location automatic. Hope you can help me. This application will automatically update the current location, even when the device is moving. I had problem in logcat “can’t redirect to app setting for Google Play Services”?? why i didn’t got bid blue circle? i want ask something..why my emulator take time tO launched..
Do u know how make “Add connection” in android contacts..
Everything is according to your tutorial and I am also getting the current location but the map is not displaying. My API key is correct and Google Maps Android API v2 service is also running, still I don’t get it what’s going wrong please advise. Thank you very much. You helped me. Hello,I’m having a problem.My logcat show as below.Please help me! Amazing tutorial, thanks so much for making this. Worked perfectly. Its working but i cant zoom into my location, it zooms near it, how can i solve it ? any ideas? Muchas por este ejemplo. Esta increíble. Hi sir,your tutorials r very helpful.Is it possible that one user update the map (make a marker on map saying traffic jam on some road ) can be seen to other users using that app too. thnx ,can u suggest any tutorial on that. Is it possible adding two or more pipoints to the Map?I thing it’s about OverlayItem ? Please give me example about that.Enjoy yourself.thanks. hi admin & everyone. the TextView no display Location(latitude, longitude). why? Hi George, great job sincerely. Your app works great but when I move my device i notice that the textview with the current location coordinates does not changes, although my position on the map changes correctly. I have a doubt .. is it possible to show just the available possible routes to the user? i.e. from Location A to B which possible routes are there. And then when user selects one of the route .. you show the selected route on the Map? Does Map API or Direction API allows this? How do i add a marker to current location and keep updating that marker in onlocationchanged to the new location point. I think we can add Map as class variable. You can remove marker from map and add a new one again on onlocationchanged() ? thank you so much George, really appreciate your work!!! I have lot of doubts in android,now i need a tutorial about find friend location during call via message,please help me sir. I have an app in which i am trying to create a map and show my current location and add another location as my destination. So i used this code to generate map and show my current location. When i exported and installed it on my device it says “Unfortunately application has stopped”. Is there anything that i am missing. Hi mate! Do you know how to use this Google maps android v2 like the Google places? Your awesome sir..your sample codes on google maps are very helpful to me…thanq you so much sir…..
i doing my project i.e Spot Me!!! i have to find out my location and share it with my friends and relatives and also i have to find out my friend’s location…. can u able to provide adt bundle eclipse with google api ??? Hi George , im doing my project using MyLocation on Google maps to changes dynamically if you can help with it . How can I fix “Dialog cannot be resolved to a type”? i want to know that on the place of blue dot that represent our current location i want to show a sign or marker.. how i can do this?? Hey nice code man!! I have a doubt. what should i do if i need to get coordinates of any point on the map by dragging the icon present on the map? Thank you so much for this tutorial – it works fantastic. Do you have any tutorial or code that will allow a user to click on more points in the map so that they can create a route with waypoints? If not, then what do you think the best way to do this would be? Sir, Excellent tutorial. I want to reduce the internet data usage now. I have disabled buildings. what should i do to minimize by data usage when i’m on the go? I am facing Unfortunately (Application Name) has stopped problem. While I am checking error using logcat it shows error on fragment and 25 more. Where is the problem and how can I solve this?